Half a degree can make a world of difference. If Earth warms by just 1.5 degrees Celsius over preindustrial times by 2100, rather than 2 degrees, we would see fewer life-threatening heat, drought and precipitation extremes, less sea level rise and fewer species lost. Those findings are detailed in a report, a summary of which was released October 8, by the Intergovernmental Panel on Climate Change, or IPCC, following its weeklong meeting in Incheon, South Korea. The report is the result of dozens of climate scientists sifting through dozens of recent studies and new datasets probing the impact of a global temperature hike of 1.5 degrees. "This will be one of the most important meetings in the IPCC's history," Hoesung Lee, a climate economist at Korea University in South Korea and current IPCC chair, said in his opening address October 1. Three years ago, in 2015, 195 nations signed onto the Paris agreement to curb greenhouse gas emissions sufficiently to limit global warming to "well below" 2 degrees by 2100 (SN: 1/9/16, p. 6). Getting all the delegates on the same 2-degree-warming page was a hard-won victory. But many scientists have warned that the 2-degree target isn't stringent enough to prevent major environmental changes affecting everything from sea level rise to water scarcity to habitat loss. 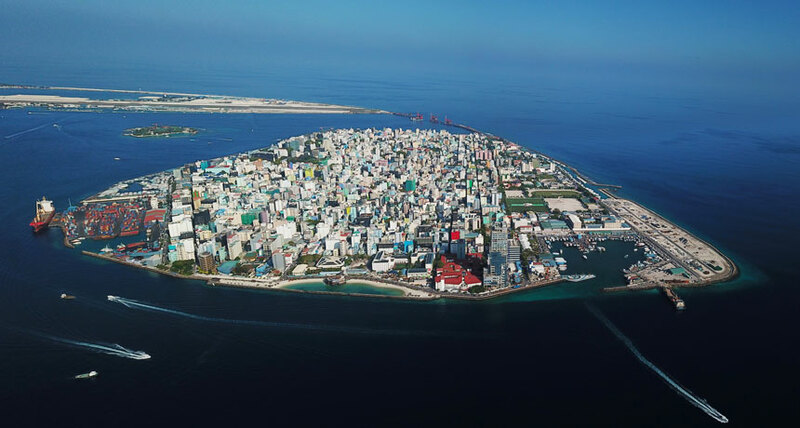 During the Paris talks, more than 100 nations - including many of those most vulnerable to climate change, such as the island nation of the Maldives and drought-stricken Angola - called for a lower warming target of 1.5 degrees. At the time, Lee noted in his Oct. 1 address, scientists knew relatively little about how to compare the risks of a 1.5-degree-warmer world with a 2-degree-warmer world. So, as part of the decision to adopt the Paris agreement, the nations invited the IPCC to prepare a report assessing those impacts. As it turns out, the differences are stark between the two warming targets, as outlined in the new report, titled "Global Warming of 1.5° C." In addition to fewer heat, rain and drought extremes, the impact on future sea levels would be significant. A half a degree less warming means about 0.1 meters less sea level rise on average by the next century. As a result, at least 10 million fewer people would be exposed to such risks as flooding, infrastructure damage and saltwater intrusion into freshwater resources, the report found. Somewhere between 1.5 degrees and 2 degrees, the planet's great ice sheets may become increasingly unstable, further increasing the potential for sea level rise. And, in the 1.5-degree warming scenario, the Arctic Ocean is projected to be ice-free during the summer only once per century. That would happen once a decade under the 2-degree scenario. TAs for the planet's other denizens, a lower temperature increase would mean less risk of habitat loss for many insect, plant and animal species compared with a full 2 degrees of warming, the report notes (SN: 6/9/18, p. 6). And other climate-related risks to these species, including forest fires and the spread of invasive species, would be less under that lower warming threshold. Much of the data analyzed in the report has been published in scientific journals over the last two years, and wasn't available when the Paris agreement was signed. The London-based website Carbon Brief published an interactive infographic on October 4 that summarizes the results of 70 such 1.5-degree studies that show the impacts of warming targets on everything from future sea level rise to heatwaves to hurricanes. Despite building a case for a lower temperature target, the trick will be how to get there. In 2017, the Paris accords faced a major setback when President Donald Trump announced that the United States, a major contributor to the greenhouse gases that drive warming, would pull out of the agreement. Achieving an even more stringent target seems particularly daunting. The IPCC report examines various possible paths that scientists have examined to limit the environmental impacts of warming. Among the variables considered in these paths are when emissions are projected to reach net zero, when the amount of carbon released to the atmosphere is balanced by the amount that is being removed. Another variable is how many more emissions will be allowable in the meantime - a concept known as the carbon budget.